The young people from Quarrier’s James Shield Project who set sail aboard Duet from Greenock on Saturday are to be championed by Lisa Pover. Lisa is a living example of how sailing offshore can build people into much more than they ever expected to be. Working as a taxi driver in Liverpool she won a local newspaper competition to complete a leg of the Clipper Round The World Race. 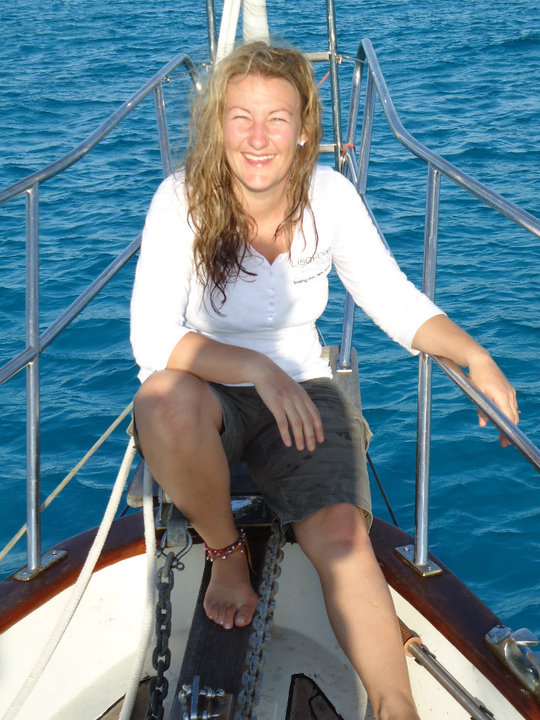 Having never sailed before, she decided that this was her big chance in life and raised the money to complete not just the leg but the whole circumnavigation. 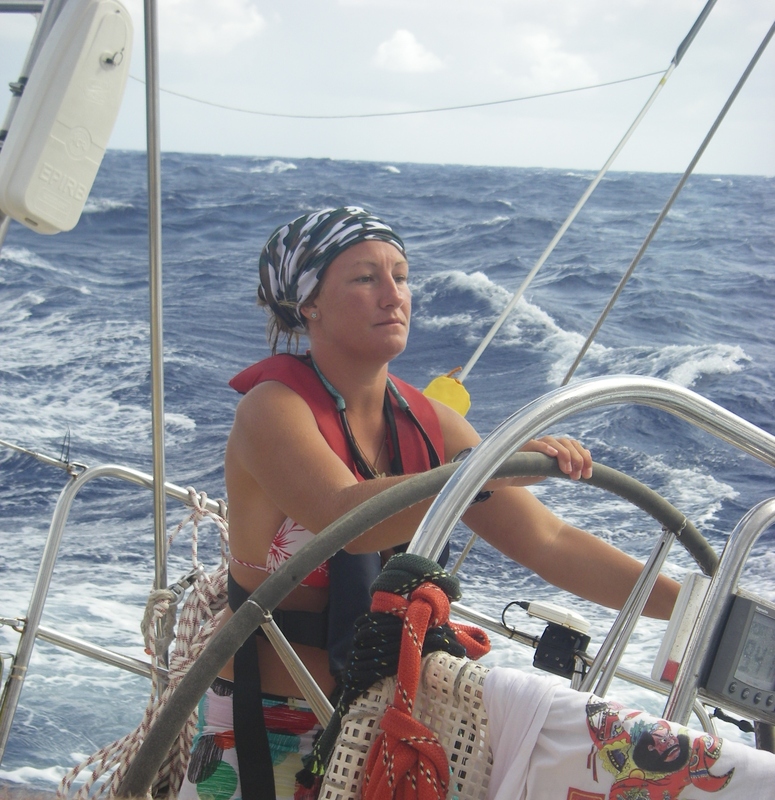 Since completing the circumnavigation she has established the Lisa Pover Trust which offers personal development to young people from Liverpool through sailing. She has sent the following message to crew of Leg 6. I can remember my very first voyage at sea as if it was only yesterday. When I decided that I wanted to sail around the world, my friends and family couldn’t believe it. They said ‘Lisa is doing what? She hates the water!’ and they was right but if I don’t challenge myself in life, then how will I ever achieve? Going to sea for the first time I remember thinking, what will it be like, will I enjoy it, how will I know what to do and will I get on with everyone? There were people I had never met before, from all walks of life and from very different backgrounds to myself but I very quickly learnt that it didn’t matter. What mattered was how well we worked together as a team, how we supported each other when each of us were missing home or feeling vulnerable, not what we did back home, where we came from or how much money we had. Sailing is such a wonderful sport. What you do with the sails and boat determines where you move to…that’s an instant achievement. You are making a boat/vessel move by the wind! I look forward to following your voyage on facebook, the website and your blogs but more importantly I really look forward to meeting you all in Liverpool and hearing about your journey first hand. The good and the bad, the rough and the smooth and of course who had the smelliest feet! Well done for getting to this stage so far. Fair winds to you all. I’ll finish by saying that the higher you aim in your life, the more you will achieve. No one can say that the path or journey you chose will be an easy one, but if you don’t give it a shot, then you will never know…Here’s a quote from Eleanor Roosevelt that I always have in my mind “You gain strength, courage and confidence by every experience in which you really stop to look fear in the face. Do the things you think you cannot do”. This entry was posted in Quarrier's James Shield Project, Voyage to Success and tagged Champions, Liverpool by V2S Media Monkey. Bookmark the permalink. I take my hat off to you Lisa – I feel privileged to have met you!! .All the best in all you do.